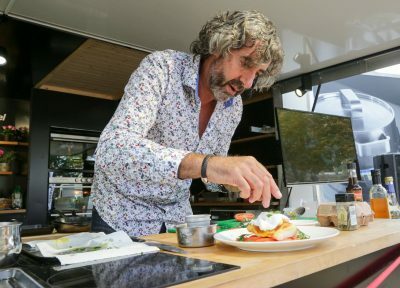 Celebrity chef Richard Fox will return to Nelson Food & Drink Festival on Saturday 17 September with two cookery demos that promise to have taste buds tingling. 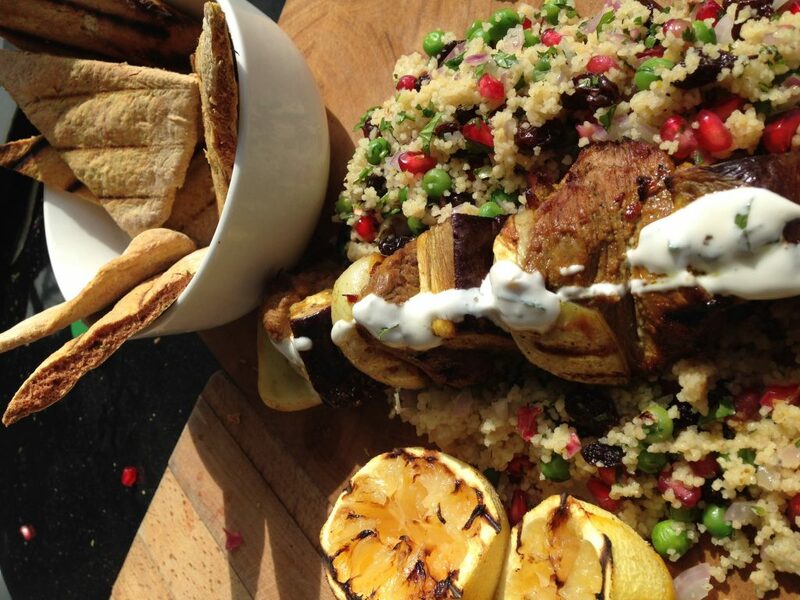 Richard will serve up two of his own signature dishes – including the temptingly tasty Moroccan lamb skewers with jewelled couscous – at his live cookery demo in the outdoor kitchen beside The Shuttle monument. Visitors to the food fair can sample Richard’s dishes directly after his engaging cookery demos in the town centre at 10.30am and 3pm. Richard, author of The Food and Beer Cookbook and co-star of the ITV series Men Brewing Badly with actor and beer enthusiast Neil Morrissey, was a hit with crowds at the 2015 Nelson Food Festival. Event organisers Scott Dawson Advertising are delighted to be welcoming ‘Foxy’ back to the event for a second year. As well as getting busy in the demo kitchen, Richard Fox will compere activities on the main stage: at 11.30am Grant Smallridge of The Whitakers Arms, the event’s restaurant partner, will cook a mystery dish with a modern twist. Food waste activist Gill Watson, a well-known figure in Pendle and beyond, will give a talk at 2pm on reducing food waste, always an engaging and thought-provoking topic. Richard Fox will also turn judge for a recipe competition for budding young chefs. In the run-up to Nelson Food & Drink Festival local children are challenged to create a delicious dish from their favourite ingredients and draw a picture of it. Full details and entry forms are being distributed to local schools. Entries must be handed in at the Wilko store in Pendle Rise shopping centre by 11 September to be judged ahead of the event. Competition sponsor Pendle Rise is offering a sweet hamper prize for the winning young chef. The second annual Nelson Food & Drink Festival on Saturday 17 September will aim to better last year’s successful event, which brought around 8,000 visitors into Nelson. It will pack over 50 stalls of food and drink producers into the heart of Nelson, all bursting with tasty and aromatic treats ranging from traditional Lancashire favourites to Asian delicacies. There are plenty of activities for families to enjoy too. 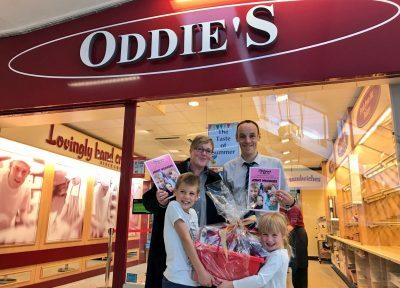 Local bakery Oddie’s is sponsoring a children’s cupcake decorating competition taking place inside Pendle Rise shopping centre. Catering students from Nelson & Colne College will be on hand to help out with the little ones’ cake creations. The best one will win a sweet hamper prize. 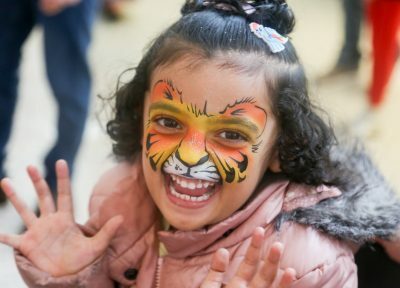 Other attractions at Nelson Food & Drink Festival include bhangra dancing from the Punjabi Roots Academy, free face painting and henna art. A vintage double-decker bus is available to take foodies to the event for free. Two routes are running: one from Barnoldswick through Foulridge and Colne, the other from Burnley bus station through Brierfield. For full details of bus times to help you arrive in style, visit the event website www.nelsonfoodfestival.co.uk. For full details of the event, including live show itinerary and Richard Fox’s recipes, look out for the Nelson Food & Drink Festival flyer. It will be delivered to 23,000 local households in advance of the event on Saturday 17 September between 10am and 4pm. The leaflet can also be downloaded from www.nelsonfoodfestival.co.uk. Missed last year’s event? Watch a short video of the 2015 Nelson Food & Drink Festival to whet your appetite for this year’s event.